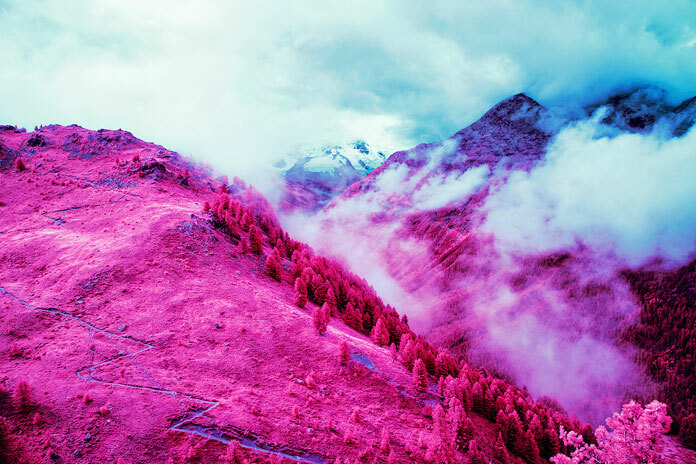 Discover an amazing selection of aerochrome and infrared photography captured by Zak van Biljon. 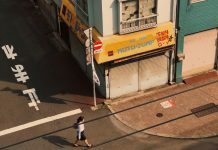 South African photographer Zak van Biljon was born in 1981. 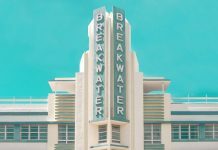 He spent half of his life in both cities Johannesburg and Cape Town. In 2003, Zak has graduated as best student at the National College of Photography. One year later he left South Africa and emigrated to Europe where he lived in Rome and London before he moved to Zurich, Switzerland. Today he’s working as a commercial and fine art photographer. 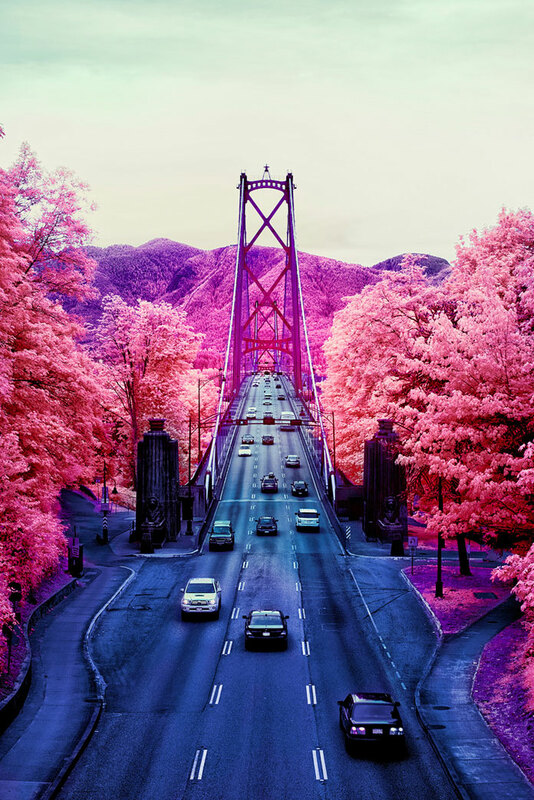 Aerochrome infrared photography of Lions Gate Bridge. 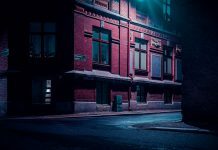 With exceptional skills in contemporary advertising as well as diverse modern art projects, Zak van Biljon specializes in both digital and analog photography. 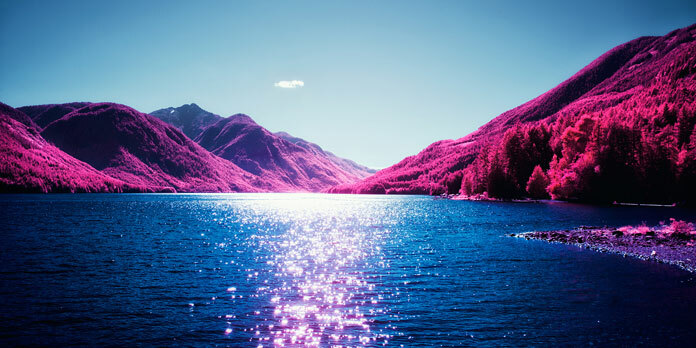 His latest body of work includes a great collection of aerochrome and infrared photography. 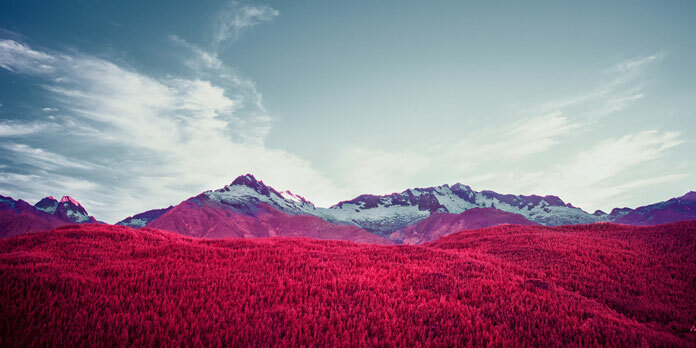 He captures different places and landscapes in red and pink colors, which provides a fascinating, surreal perception of our world. 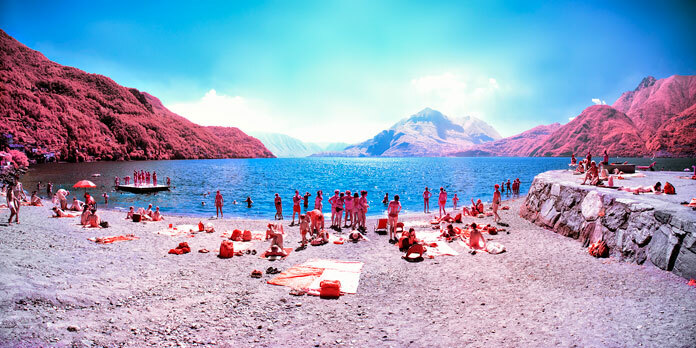 A few examples of Zak van Biljon’s aerochrome and infrared images can be found below. 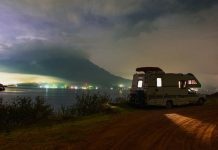 For more, please visit his website or follow this talented photographer on Instagram. 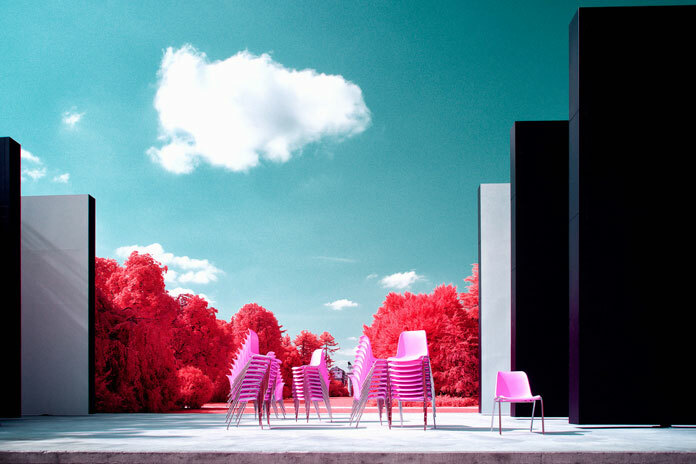 Chairs, an image captured in Milan, Italy. 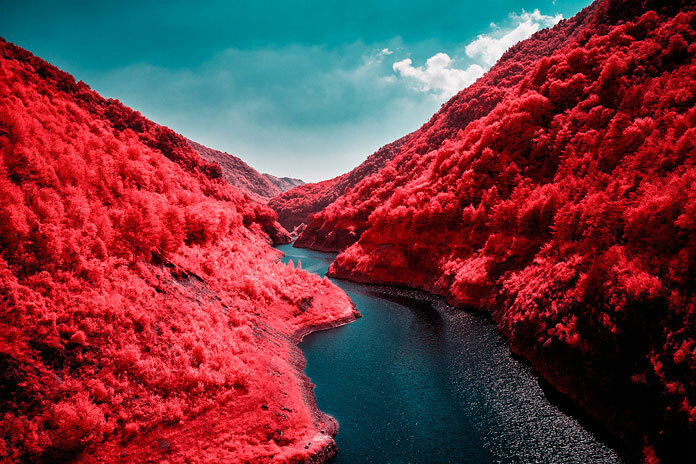 Aerochrome infrared image – Red Mountain. 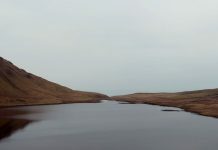 A Canadian lake in dark blue shades surrounded purple hills and mountains. 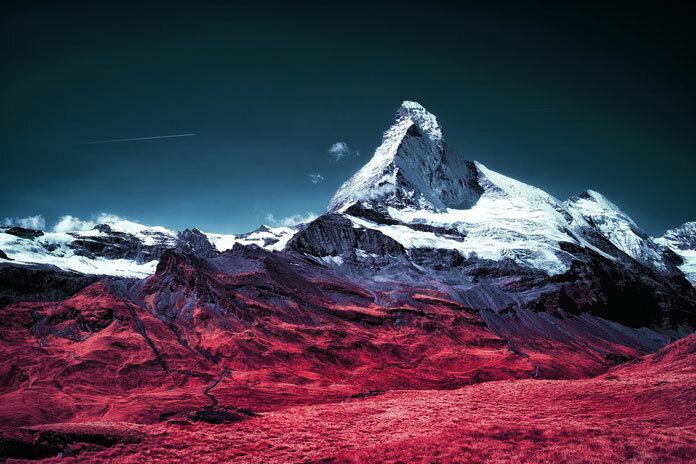 What a breathtaking view of the Matterhorn in Zermatt. Via Martiri della Libertà, Lombardy. 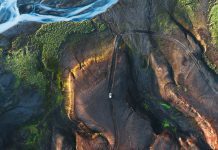 Valvestino – photography by Zak van Biljon. All images © by Zak van Biljon. 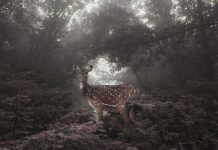 Do not hesitate and discover more mind-blowing work in our Photography section. beside landscapes. 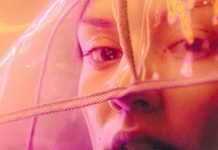 would you think you can do portraits with this style?